The personal appearance of the cast of Columbia Pictures' new epic adventure Django Unchained was one of the major highlights of the “Summer of Sony” event, held recently in Cancun, Mexico. 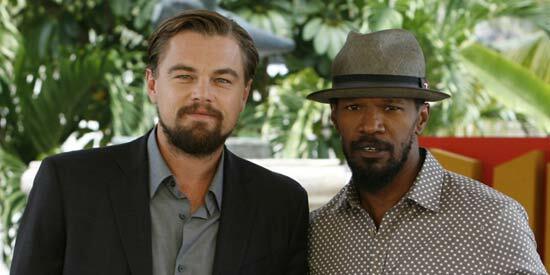 Gracing the event were Leonardo DiCaprio, Jamie Foxx, Christoph Waltz, Kerry Washington and Quentin Tarantino, who wrote and directed the film. Set in the South two years before the Civil War, Django Unchained revolves around Django (Foxx), a slave whose brutal history with his former owners lands him face-to-face with German-born bounty hunter Dr. King Schultz (Waltz). Schultz is on the trail of the murderous Brittle brothers, and only Django can lead him to his bounty. The unorthodox Schultz acquires Django with a promise to free him upon the capture of the Brittles – dead or alive. Django Unchained is produced by Stacey Sher, Pilar Savone and Reginald Hudlin. The executive producers are Harvey and Bob Weinstein, Michael Shamberg, Shannon McIntosh, and James Skotchdopole. Django Unchained will be released in the U.S. on December 25, 2012 by The Weinstein Company, and in the Philippines in early 2013 by Columbia Pictures, local office of Sony Pictures Releasing International.